In John 14: 3-4, Jesus addresses his disciples, saying: “I will come again and receive you to myself, that where I am, there you may be also. Christians believe this means there is a way to go – a way that leads those who walk on it to be received to Jesus and be together with him eternally. In Amazon Prime’s “The Kingdom and End Times”, the documentary suggests God is very clear about Matthew 24:36. The 2016 documentary reveals, the Bible says that “the angels do not even know when the Day of Judgement will be”. Mark 13:32 mentions the fact that Christ himself did not know when the end will be. In the show, Don Blackwell questions why the Lord says that the angels do not know, as Christ himself did not know the day of his return. Peter 3:10 adds that tell us that the day of the Lord will “come like a thief in the night”. Mr Blackwell explains that: “A thief doesn’t give you a clue, or when he’s coming. Let’s answer the title question: Will the end or Jesus’ return happen in 2019? How can I be absolutely certain? Because, contrary to the assertions of the article and Don Blackwell, Jesus did lay out clues and signs to look out for. Furthermore, Jesus said to watch for them (e.f. Mark 13:37). Yet, the pre- and mid-tribulation rapturists ignore or try to reason around these scriptures. More details, including some of the scriptures they tend to claim support their view, are documented in the article Is There A Secret Rapture for the Church? 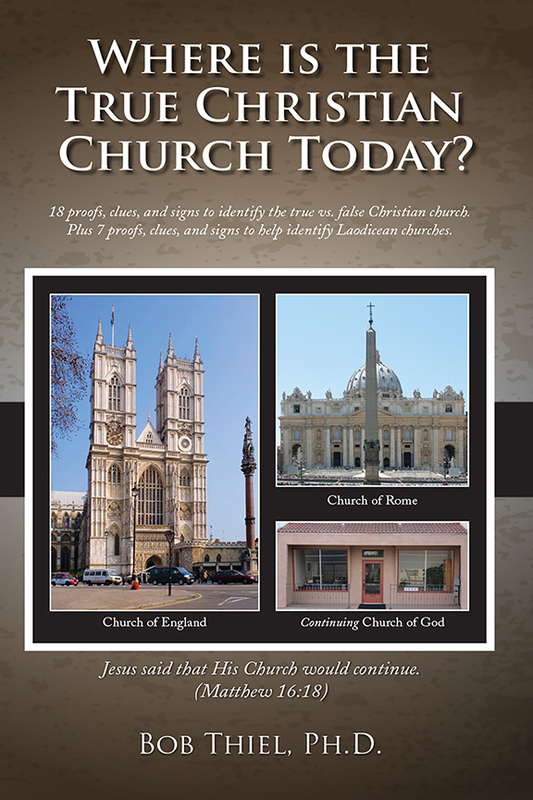 When and Where is the Church Protected? Since the Great Tribulation has not begun, there is no possible way that Jesus will return in 2019. Hence, the most faithful Christians can know. 32 “But of that day and hour no one knows, not even the angels in heaven, nor the Son, but only the Father (Mark 13:32). But is that proof that we cannot know about when it will occur? No. There are several scriptural proofs, three of which I will bring up here now. 4 And Jesus answered and said to them: “Take heed that no one deceives you. 5 For many will come in My name, saying, ‘I am the Christ,’ and will deceive many. 6 And you will hear of wars and rumors of wars. See that you are not troubled; for all these things must come to pass, but the end is not yet. 7 For nation will rise against nation, and kingdom against kingdom. And there will be famines, pestilences, and earthquakes in various places. 8 All these are the beginning of sorrows. 9 Then they will deliver you up to tribulation and kill you, and you will be hated by all nations for My name’s sake. 10 And then many will be offended, will betray one another, and will hate one another. 11 Then many false prophets will rise up and deceive many. 12 And because lawlessness will abound, the love of many will grow cold. 13 But he who endures to the end shall be saved. 14 And this gospel of the kingdom will be preached in all the world as a witness to all the nations, and then the end will come. 15 “Therefore when you see the ‘abomination of desolation,’ spoken of by Daniel the prophet, standing in the holy place” (whoever reads, let him understand), 16 then let those who are in Judea flee to the mountains. 17 Let him who is on the housetop not go down to take anything out of his house. 18 And let him who is in the field not go back to get his clothes. 19 But woe to those who are pregnant and to those who are nursing babies in those days! 20 And pray that your flight may not be in winter or on the Sabbath. 21 For then there will be great tribulation, such as has not been since the beginning of the world until this time, no, nor ever shall be (Matthew 24:4-21). Thus, recent items such as earthquakes, economic turmoils, and food shortages should, at most, be considered as related to “the beginning of sorrows” (which may or may not yet have started in their final intensity) and not the “great tribulation” itself. The “great tribulation” does NOT begin until verse 21. And while “tribulation” is involved in verse 9, this seems to be referring to the persecuting tribulation that true Philadelphia Christians will face just prior to the great tribulation. But when the sacrifices stop and the abomination is set up (Daniel 9:27; 11:31), it will be time for the faithful to flee (see also There is a Place of Safety for the Philadelphians. Why it May Be Petra). So, Jesus said to watch, because otherwise we would not know. In Mark’s account, He said this RIGHT AFTER saying He did not then know the date and hour. Thus, if we watch as He taught, we certainly can have an idea that the great tribulation is close–otherwise Jesus would not have repeatedly stated to His followers to watch. As far as some events to watch out for in 2019, check out the article 19 items to prophetically watch in 2019 as well as the related sermon 19 items to watch in 2019. As far as the Great Tribulation and 2019 goes, check out the short video Might the Great Tribulation start in 2019? After the trade deal between the EU and Japan goes into effect on February 1, Brussels will focus on clinching a deal with South American Mercosur group before the end of next year to form an even bigger trading bloc, EU Trade Commissioner Cecilia Malmström told the German DPA news agency on Saturday. The Mercosur trade area includes Argentina, Brazil, Paraguay, Uruguay, and Venezuela with the total population of some 260 million people. Venezuela’s membership has been suspended in 2016 due to issues including its human rights record. While consistent with prophecy, this will not bode well for the USA. But it will also assist the Beast power in accomplishing what is warned about in Revelation 13, 17, & 18 (a related video would be Will USA Spying Help the Beast Power?). As far as Europe and Mexico go, in 2018 we saw EU and Mexico making a trade deal, partially to send Donald Trump a message. Europe is working to push the USA away from dominating global trade. Brazil, by the way, has the biggest economy in Latin/South America and is a member of Mercosur/Mercosul. 2 And he cried mightily with a loud voice, saying, “Babylon the great is fallen, is fallen, and has become a dwelling place of demons, a prison for every foul spirit, and a cage for every unclean and hated bird! 3 For all the nations have drunk of the wine of the wrath of her fornication, the kings of the earth have committed fornication with her, and the merchants of the earth have become rich through the abundance of her luxury.” (Revelation 18:2-3). While ‘Babylon’ will not fully reign in 2019, with the USA pulling out of trade deals and/or wishing to change them, steps are occurring that are pushing Europe to dominate trade (watch Trade Wars: Are COG warnings coming to pass?). The Europeans have been working with Latin America, China, Russia’s Eurasian Union, and other areas of the world to try to set up its dominance of world trade as well as standards for world trade. A related sermon was also produced and uploaded: 19 items to watch in 2019. Europe is rising up as the prophesied Babylon to dominate trade. This will not end well for the USA (Daniel 11:39). The Bible warns of the ‘time of Jacob’s trouble’ (Jeremiah 30:7) also known as ‘the great tribulation’ (Matthew 24:21). USA statements and actions are getting more of the world willing to support Europe. This proposed “world’s largest trade deal” between the EU and Mercosur is a step in that direction. Does God begin His new year on January 1st? If not, what is the origin of January 1st and New Year’s? Back in 46 B.C., Julius Caesar declared that January 1st would mark the beginning of the new year. January was named after Janus, the god of gates and doors in Roman mythology. People prayed to Janus when they wanted something new in their lives (such as resolutions). Janus is normally represented with two faces, one looking to the past and the other looking to the future (the two faces also signified change that Janus would supposedly bring in, see Burchett B, Janus in Roman life and cult: a study in Roman religions, p. 15). The first day of the month of January was sacred to him. But “let your works shine,” saith He; but now all our shops and gates shine! You will now-a-days find more doors of heathens without lamps and laurel-wreaths than of Christians. What does the case seem to be with regard to that species (of ceremony) also? If it is an idol’s honour, without doubt an idol’s honour is idolatry. If it is for a man’s sake, let us again consider that all idolatry is for man’s sake; let us again consider that all idolatry is a worship done to men, since it is generally agreed even among their worshippers that aforetime the gods themselves of the nations were men; and so it makes no difference whether that superstitious homage be rendered to men of a former age or of this. Idolatry is condemned, not on account of the persons which are set up for worship, but on account of those its observances, which pertain to demons (Tertullian. On Idolatry, Chapter XV. Translated by S. Thelwall. Excerpted from Ante-Nicene Fathers, Volume 3. 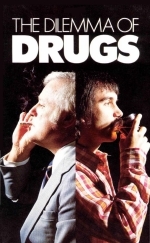 Edited by Alexander Roberts and James Donaldson. American Edition, 1885. Online Edition Copyright © 2004 by K. Knight). What Tertullian seems to be saying is that observing New Year’s celebrations make Christians appear to be followers of pagan gods, and since the pagans would not intentionally celebrate days considered by many to be Christian, Christians should not celebrate days that are honored by the heathen. Specifically, he felt that those who profess Christ should not celebrate New Year’s or other pagan days, as even the observance is a form of idolatry. New Year’s was also observed in honor of the goddess Strenua/Strenia, the goddess of purification and well being. It may partially be because of her that New Year’s resolutions and vows are made. New Year’s clearly has demonic origins. Thus although many would be surprised to learn this, the celebration of New Year’s was originally opposed by claimed “Christian writers” according to the Church of Rome. Hence, it definitely should not be considered to be an original apostolic practice or even early tradition for the Catholics of Rome. In the US and many other Western cultures, vows called New Year’s resolutions are often made. From this authors research, while repentance is a good thing, he believes that this custom of resolutions is similar to the prayers made to Janus regarding desiring something new. According to most available research, most people break their New Year’s resolutions. Hopefully they are not making them before the true God whose word says, “When you make a vow to God, do not delay to pay it; for He has no pleasure in fools. Pay what you have vowed–Better not to vow than to vow and not pay. Do not let your mouth cause your flesh to sin, nor say before the messenger of God that it was an error. Why should God be angry at your excuse and destroy the work of your hands?” (Ecclesiastes 5:4-6). No your friend isn’t planning to ring in the New Year with someone named Sylvester instead of you. Silvester is the German name for New Year’s Eve – owing to the fourth century Pope Sylvester I. Eventually made a saint by the Catholic Church, his feast day is observed on December 31. St. Sylvester’s day became associated with New Year’s Eve with the reform of the Gregorian calendar in 1582, when the last day of the year was fixed at December 31. But despite the holiday’s Christian name, many German New Year’s traditions can be traced back to the pagan Rauhnächte practices of heathen Germanic tribes, which took place at the end of December and beginning of January. Why do people celebrate January 1st as New Year’s? Is this a Christian practice? What is the month of January named after? Did the Church of Rome condemn this date as “observing the new time of the Devil”? When does the Bible show that God says the ‘new year’ begins? Do New Year’s resolutions have pre-Christian origins? Does the New Testament condemn practices associated with New Year’s celebrations? Here is a link to our video: God’s or Satan’s New Year? Posted in Church History, Religious News | Comments Off on January 1st: The New Year of What God? The GI article is correct, if it is saying that Europe will change. However, the ultimate change will be a loss of the nation state as well as the addition of more religion in Europe. Plus, and just partially because of the influence of Donald Trump, Europe will end up with its own “great army” (Daniel 11:25). A year ago, when the European Union was rolling out its Permanent Structured Cooperation (Pesco), some commentators cautioned that we were witnessing the birth pangs of an EU military structure, an essential ingredient in the creation of a European super-state. others, have long been warning of the danger of nations effectively sub-contracting their militaries out to the EU, thus ceding their sovereignty. After all, they argue, how can a state be truly sovereign without full control over its military? The counter-argument is that such fears are exaggerated, and that the EU’s scope will be restricted to police actions and humanitarian missions. Are concerns over loss of sovereignty misguided? During a speech before the plenary session of the European parliament, on December 11 in Strasbourg, the EU’s High Representative for Foreign Affairs and Security Policy Federica Mogherini laid it all out. She stated: “I think we agree no single European country can respond effectively to any of the challenges of our times, and I think we agree that we, the European Union, have a responsibility to embrace our role as a global power, working together for peace, security and human development worldwide and, in some cases, even filling a gap. Mogherini went on to say: “When we join forces, as Europeans, and take part in global negotiations we are not giving up on our sovereignty. On the contrary, we are exerting our sovereignty more fully, more powerfully, on the global stage. Europe will reorganize and there will be a loss of national sovereignty. Those who have wrongly insisted that the above is teaching that it will be just ten (or eleven) currently existing nations as part of the final European beast power are in error. See also Must the Ten Kings of Revelation 17:12 Rule over Ten Currently Existing Nations? There is a definite German “Kultur! There is a French culture that is in many respects quite different. Then there is a still different Italian culture, a Spanish culture, a Scandinavian culture, a Swiss culture–and all are different! European nations speak different languages, have different aspirations, different customs, different traditions. Europe is often called a “crazy-quilt” of nations. So, he felt that while they needed a political-military leader, he also felt some type of religious leader was needed to unify Europeans. The idea that religion will be part of the final Beast power is clearly taught in Revelation 13, as well as Revelation 17. GI and others who are not relying on the Bible are overlooking important points. That being said, Europe will have issues. Europe will reorganize and unite for a time. German Economy Minister Sigmar Gabriel has called for the number of EU Commissioners to be cut and for Brussels to reconsider how it allocates its budget, just over a week after Britons voted to leave the bloc. He also said the EU should build up a joint European army. Well, the UK did vote to leave the EU, PESCO formed, and many in the UK (and in the USA) keep pushing for nation-states. Furthermore, Europe wants its own military and its own empire. Could preparations for WWIII have begun? German Chancellor Angela Merkel and French President Emmanuel Macron called for a European army to be independent of the USA and NATO. One of the reasons was to be able to protect against the USA. Is the fourth German Reich in progress? What does the Bible teach about Germany, Europe, and WW3? Dr. Thiel addresses these matters in this video. Here is a link to the sermonette video: Germany and World War 3. GI is correct that there are problems in Europe. I, too, expect more problems in Europe. However, the Bible shows that Europe will reorganize in a way to mainly eliminate the ‘nation state’ (Revelation 17:12-13). And the Bible shows that the Babylonian European Beast power will dominate the world scene for a time (Revelation 13,17,18) just before Jesus returns. Expect more calls for Europe to reorganize. Where can you watch January’s blood moon? January’s blood moon will be visible from the United States, South America, western Europe and Africa between January 20 and 21. Years ago, I denounced the view that the ‘blood moons’ of 2014 and 2015 could mean that Jesus would return or that the ‘Day of the Lord’ was about to start. This was something that the Protestant John Hagee as well as Mark Biltz (who practices Messianic Judaism) started promoting back in 2008–but they were wrong.Paul Begley was wrong in about one of more blood moons for 2018 and will be wrong again related to 2019. 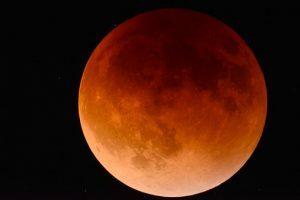 Might tomorrow’s blood moon have massive prophetic significance? Repeatedly, those who pointed to prophetic significance of the blood moons which have happened over the past several years were wrong. A lunar eclipse occurs when the moon passes in the shadow of Earth. This is an area known as the umbra, where light from the Sun is blocked by our planet. So, a blood moon is basically a reddish appearing shadow on the moon. So, before the longest blood moon of the century occurs, I again want to inform people that this eclipse is a natural phenomenon. Do not let people who claim to be Christian or cite scripture deceive you on these matters. There are many false and heretical leaders that lead people astray on prophecy and sometimes they mention the Bible to try to act like God sanctions their nonsense, they should be denounced as false. All should REALLY pay attention to what the Bible really teaches. Thus, you can be certain that next month’s ‘blood moon’ is not a message from God related to Jesus’ return, Joel 2, or Daniel 9:27. Blood Moons, Eclipses, and Prophecy There were four ‘blood moons’ expected in 2014 and 2015. Some claimed that they signaled the Day of the Lord or the return of Jesus Christ. I denounced that view in advance. Some claimed an eclipse in 2017 signaled the end and a “super blue blood moon” in 2018 was a divine warning: Iis that true? Two related videos are available: Blood Moons, Prophecy, 2014, and 2015. and Solar Eclipse and the Apocalypse. NASA predicts irreversible collapse of civilization; ‘perfect storm’ within 15 years? How has NASA predicted the end? Here is a link to a related video: BibleNewsProphecy: NASA ‘Irreversible Collapse’ of Industrial Civilization by 2030? Another video of interest may be Is the Universe Expanding or about to Catastrophically Collapse? Comets, Wormwood, and Planet Nibiru Will the Earth be devastated by Planet X or Comet Encke? What about Planet Nine? Could it happen in 2017? Here is a link to two related YouTube videos Planet Nibiru to Destroy Earth by 2017? and Could Comet ISON be Wormwood of Bible Prophecy? Feast of the Holy Family? … in the western lung of the Catholic Church, we celebrate the great feast of the Holy Family of Jesus, Mary and Joseph. On this day, we seek to understand the unconditional love and sacrifice that existed between Jesus Christ, his mother, Mary and his earthly father, Joseph. The Holy Family is the perfect prototype for every Christian family. This is NOT a biblical holiday. The Patriarch of Constantinople is generally considered the first among equals within the Eastern Orthodox “sees.” Even if this unity with the Romans occurs, individually the Orthodox Must Reject Unity with the Roman Catholics as unifying will make them part of Babylon (according to both biblical and Roman Catholic prophecy). I strongly believe the Orthodox Must Reject Unity with the Roman Catholics and have had this published in 2007 on the internet and in The Journal: News of the Churches of God. Furthermore, many ecumenical meetings and pronouncements have been coming from those groups. There is no biblical festival for the “Holy Family of Jesus, Mary, and Joseph,” but the “Western lung” is observing it anyway. More troubles will hit the world after the Western and Eastern lungs/feet come together in support of the final ecumenical European Beast power. And it will likely involve even more idolatry than is involved in today’s Roman Catholic festival (cf. Revelation 13:). What Did the Early Church Teach About Idols and Icons? Did Catholic and Orthodox “saints” endorse or condemn idols and icons for Christians? A related sermon is available: The Second Commandment, Idols, and Icons. Posted in Religious News | Comments Off on Feast of the Holy Family? Mr. Trump appears no closer to securing money for his signature border wall, and Democratic leaders — adamant that they will not authorize money for the project — show no signs of bending, either. “We are far apart,” White House press secretary Sarah Sanders told “CBS This Morning” on Friday. She added that Mr. Trump is “willing to negotiate” with Democrats on the $5 billion he is requesting to fund his southern border wall. However, Mr. Trump seems to be shying away from any compromise. Walls are effective in keeping out as the nation of Israel has demonstrated in the 21st century. They, however, can also stop people from being able to leave as happened in Europe in the Cold War days of the 20th century. The issue of border security embodied in Trump’s seems to have struck a chord in the collective subconscious and Rabbi Pinchas Winston, a prolific end-of-days author, thinks this reaction is “divinely inspired,” citing a verse in Psalms. The rabbi also noted how walls were described in the Bible, citing Ezekiel. Rabbi Winston said that the verse in Ezekiel could be understood as referring to the current political conflict in the U.S. While I do NOT believe that the border wall debate is related to Ezekiel 22:29-30, the battle over the ‘wall’ is further dividing the USA. There is division in the USA, and it is more than just electoral. Ultimately, the USA will fall. Donald Trump has made various statements that many, including Mexican and American citizens, are offended by. 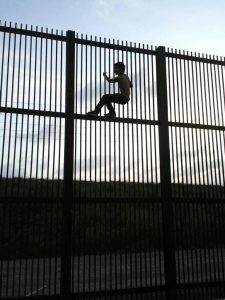 As I have reported before, Catholic bishops in Mexico have condemned the wall that Donald Trump has wanted to build, and have also stated they would call companies treasonous if they participate in the building of the planned expanded border wall (see Pope pushed ecumenical interfaith agenda with Canadian bishops, while Mexican bishops denounce all who would build the border wall). Various ones in Mexico have long considered that the USA is an enemy nation. More ‘wall’ construction will perhaps increase that perception. Closing the southern border, which Donald Trump has once again threatened will infuriate Mexico, hurt trade, and affect Mexico’s economy. The USA is seriously risking turning Mexico from an ally into an enemy. A USA-Mexico border wall, while potentially helpful to reduce illegal immigration, does not fulfill Ezekiel 22:29-30. Nor will it protect the USA from what is going to come (Daniel 11:39; see also USA in Prophecy: The Strongest Fortresses). Decades ago, I concluded that Mexico would one-day help the Europeans against the USA. Last decade I warned also about trade issues involving Mexico (watch Trade Wars: Are COG warnings coming to pass?). That day is getting closer (watch also Might the Great Tribulation start in 2019?). 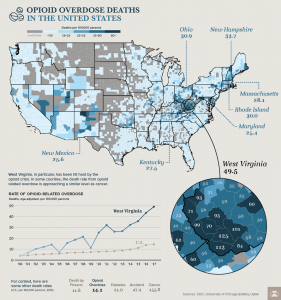 The division in the USA is growing and that will not end well for the USA (Luke 11:17). Posted in Prophecy | Comments Off on Does Trump’s Border Wall Fulfill Ezekiel 22? You are currently browsing the Church of God News weblog archives for December, 2018.